Depending upon your specific requirements, our surveyors can suggest the best way to deter, monitor or identify criminal activity in your area – and put a stop to it. Our engineers are professional in CCTV Installation in Birmingham and can help with full CCTV systems to both businesses and homes in the Birmingham area. We offer CCTV installation services across the Birmingham and wider West Midlands area. Whether you are a homeowner who wants a new CCTV system to protect their property or if you are a business owner who wants to prevent theft or protect their staff, we can help. Working on properties of all sizes and shapes, we can come up with the perfect CCTV solution for your needs and budget. With highly experienced local installers, a 12 month warranty and ongoing technical support packages available, we’re the number one choice for CCTV installation in Birmingham. Birmingham being a large city will obviously suffer from crime – and compared to the National average is a very safe place to do business. Only burglary, criminal damage and vehicle crime are high. CCTV can help deter both theft and vehicle crime – the fact that the criminal knows they are being recorded is enough usually to force them to move on to another target in Birmingham. Criminal damage again, once recorded can provide excellent evidence for the Police. This past year, the crime rate in Birmingham has been the highest across the West Midlands force area. A worrying average of 69.96 recorded crimes per 1000 citizens. While surrounding areas face much lower rates – 44.74 in Dudley and 57.38 in Solihull, the number of reported crimes within Birmingham city consistently tops that of both Wolverhampton and Coventry. Investing in a crime prevention system is preferable to waiting months for the courts and it may even lower your insurance premiums. If you want to secure your home or business premises with a reliable, easy to use system contact CCTV.co.uk today or phone 0800 211 8310 for a free, friendly quotation. Burglars like empty houses, so a simple wave through the window as you are walking away from your house can make it look that someone is still in the house. If a potential burglar is lurking, they’ll think that someone is still in there. When positioning CCTV cameras, try to place them at a height where they are out of reach from being vandalised, stolen or damaged. Many businesses in the West Midlands, including the Birmingham area, have already discovered the benefits of using CCTV monitoring systems, so much so that others are surely set to follow suit. State-of-the-art control rooms in Birmingham are used to protect business premises, with security cameras strategically placed to identify any prospective intruder. CCTV systems can be linked with intruder alarms, audio systems, access control equipment and alarm response services to provide the operator with all the relevant information and facilities to provide complete security cover remotely. Alternatively, the operator can be on site with a security officer available to respond immediately should any suspicious actions be caught on camera. Homes are a very attractive target for burglars. Most of us these days have thousands of pounds worth of electrical equipment and jewellery in our homes. This includes easy to steal items such as laptops, tablets and smartphones, all of which can be easily sold on. It is recognised that by installing CCTV at your home, you can significantly reduce the chance of your home being targeted as thieves will almost always move on to a less secure house once CCTV has been spied. If you have a shop or another sort of business, you may have thousands of pounds of stock in there making it a great target for burglars. CCTV is a great deterrent but it can also be used to protect staff when working alone and can also be used to reduce theft and protect from false personal injury claims. For the price of a CCTV system, the benefits you get from its 24/7 protection is absolutely unbeatable. Installing CCTV at your home not only protects your possessions but most importantly protects your family. CCTV can help to give your loved ones that they are protected from intruders and this is a wonderful thing. Don’t have your family living with the fear of crime, give them the peace of mind that they deserve. All of our installers are industry qualified and experienced. 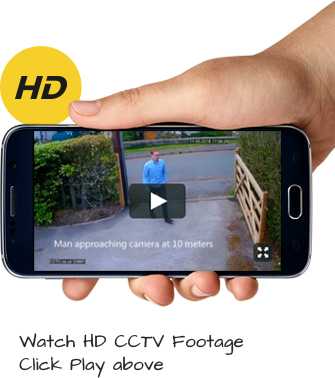 This gives you the peace of mind that your CCTV installation is in the hands of experts. We work with the whole range of premises from houses, bungalows and flats to offices, shops and industrial premises. Whatever the property you need protecting, we have the CCTV solution for you. 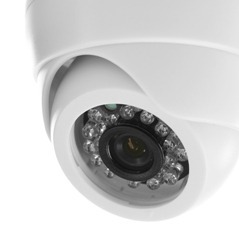 All of our CCTV systems come with HD cameras as standard ensuring excellent quality footage. Our installers will run through the system with you once installed to ensure that you understand how to use it. 12 month warranty on all systems and ongoing support and maintenance is available in the form of servicing and maintenance contracts, all competitively priced. Get in touch today with our friendly team of advisors to book your free quote and site assessment. Simply call us on 0800 211 8310 or complete our contact form and we will arrange a time and date to suit you. You could be enjoying the protection CCTV gives you before you know it.